Hair loss is heartbreaking. Especially when you are a woman, it can wrench your heart to see clumps of hair come away with your brush constantly. Finding a solution is very hard, given the number of commercial products out there in the market. But at the end of the day, you wonder if these chemical laden products can actually make a real difference in the long term. Is there a better solution? The answer is yes. A common cause of hair loss is the formation of a steroid and hormone called dihydrotestosterone, or DHT. DHT attaches itself to the hair follicle, blocking nourishment to the follicle, resulting in hair fall. Regular use of Saw Palmetto helps block 5-alpha-reductase, the enzyme which turns testosterone into DHT. This helps keep your follicles healthy and minimizes hair fall. In a bowl, mix the saw palmetto oil with the olive oil to get a saw palmetto oil blend. Start rubbing the oil into your scalp with your fingertips. Once your scalp is fully covered, continue massaging it with your fingers for about 15 minutes. Once the 30 minutes have passed, wash your hair with a mild sulfate-free shampoo. An oil massage can make a lot of difference when it comes to dealing with hair loss. It improves blood circulation and boosts the amount of nourishment your hair follicles receive. Apart from that, olive oil has excellent nutritional and conditioning properties that can improve hair and follicle health. 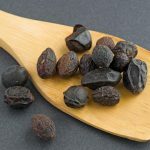 In a bowl, dilute the saw palmetto extract with warm water. Start massaging the solution into your scalp. Once your entire scalp is covered, leave the extract in. This method helps give your scalp a boost every day to minimize the production of DHT. 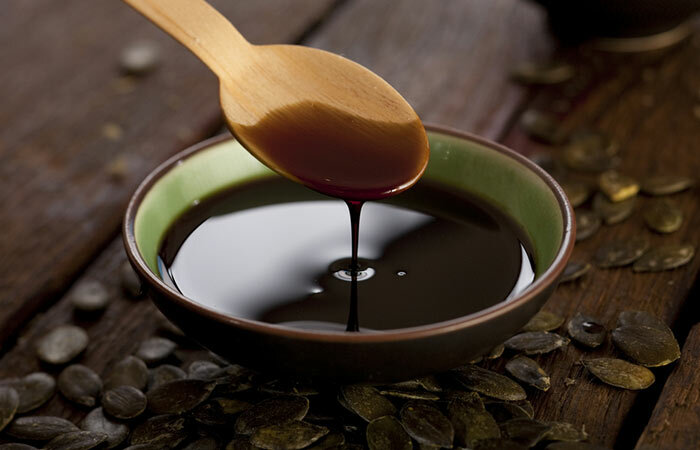 In a bowl, mix the saw palmetto oil with the pumpkin seed oil to get an oil blend. Heat the oil blend for a couple of seconds until it is slightly warm. 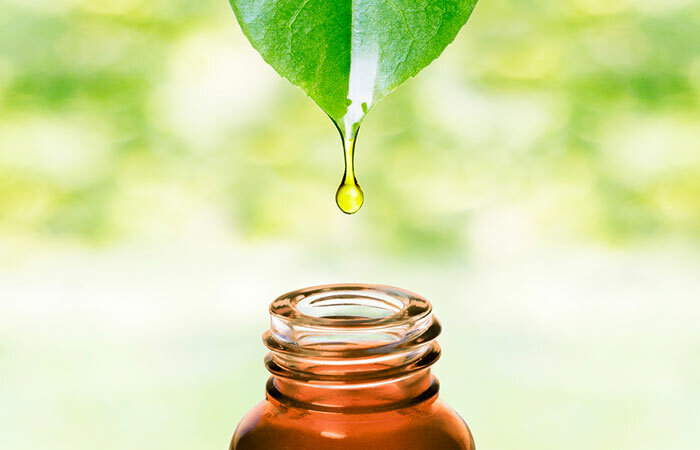 Pumpkin seed oil is another remedy known to block DHT production. It also helps stimulate hair regrowth. Jaborandi is a well-known homeopathic remedy for hair loss. When combined with saw palmetto, it helps speed up the process of hair regrowth. Extract fresh aloe vera gel from the leaf or take 1 tablespoon of store-bought pure aloe vera gel. To this, add 2 teaspoons of ground saw palmetto. Apply this mixture to the areas affected by hair loss on your scalp. Leave the mixture on for 15 minutes and then rinse it out with cool water. Optionally, you can rinse your hair with a mild sulfate-free shampoo. But be sure not to shampoo your hair more than 3 times a week. 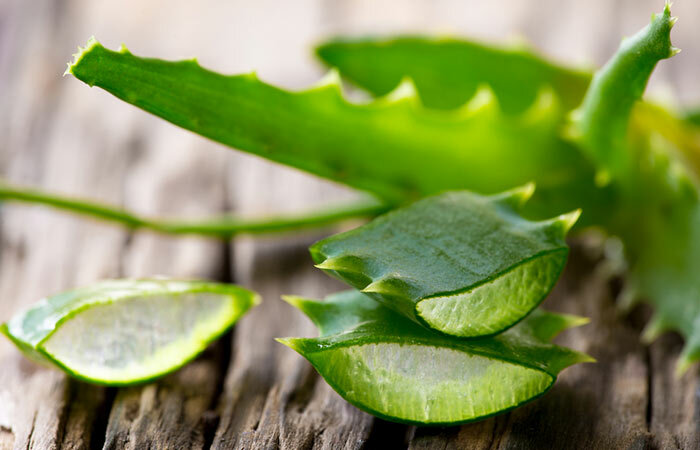 Aloe vera helps maintain the pH balance of your scalp, strengthening your follicles and keeping them healthy. It also has excellent antimicrobial properties which help soothe the scalp affected by itching or aggravation. When it comes to controlling hair loss, what you consume is just as important, if not more, as what you apply onto your scalp. Saw palmetto works more efficiently if you directly ingest the fruit, or consume it in the form of supplements. The recommended adult dosage of saw palmetto supplements is 150-160 mg, twice a day. However, you must always consult a doctor before you start taking supplements of any kind. How Long Does It Take For Saw Palmetto To Work For Hair Loss? 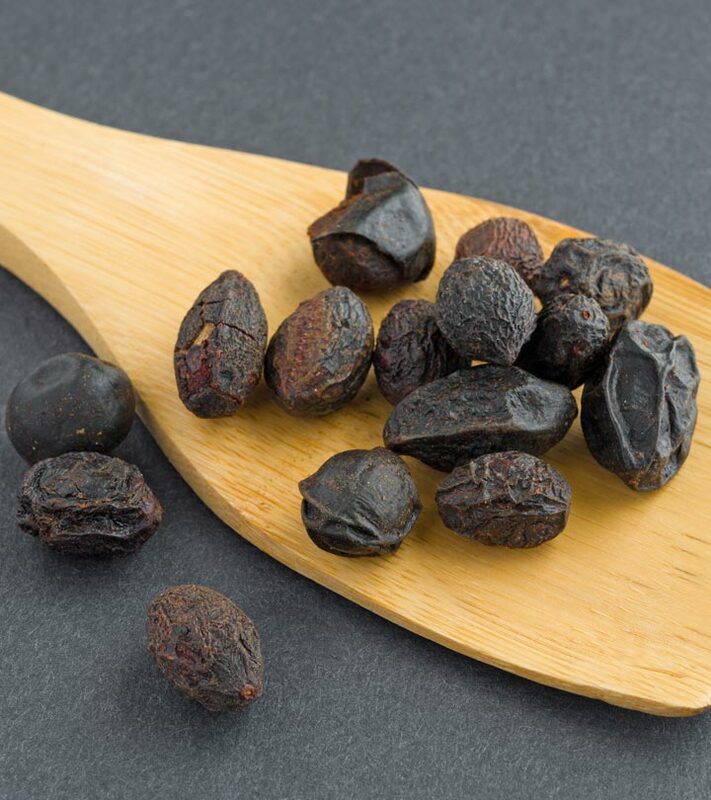 You need to use saw palmetto regularly for at least a period of 2-3 months to see any significant results. However, in some cases, it might take up to a year for results to show. 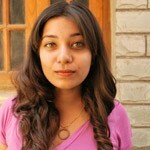 Hair loss is extremely hard to deal with, and the thought of it becoming permanent is even worse. But with these saw palmetto remedies, it doesn’t have to be. 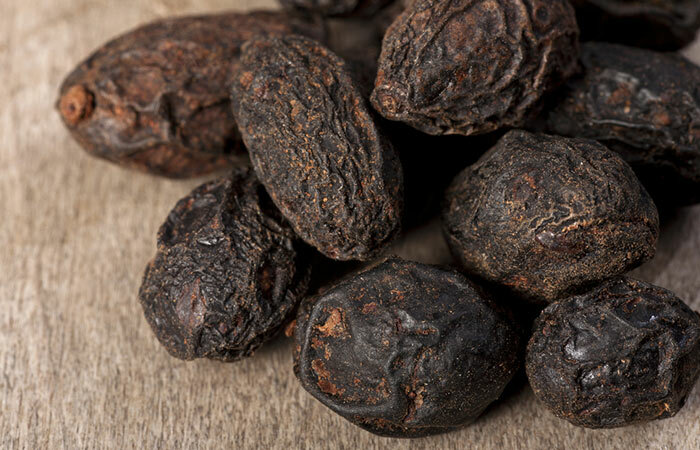 Have you ever used saw palmetto to treat hair loss? Tell us about your experience in the comments section below. 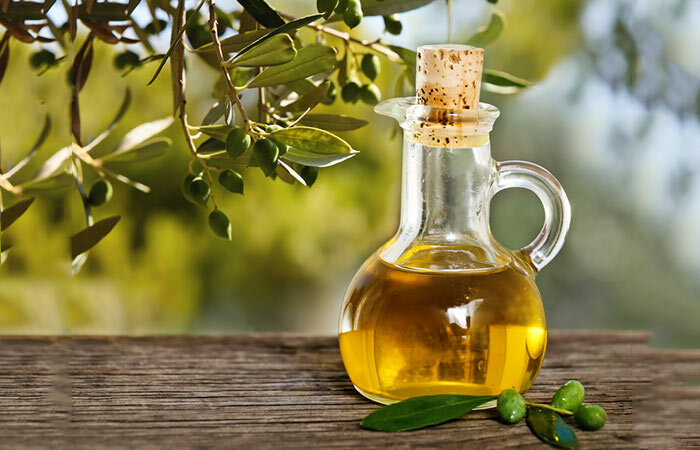 How Does Olive Oil Help Treat Hair Loss?